The end of December brings a multitude of thoughts and feelings, often connected with the year gone past. Did we really stick our goals? What achievements did we make? What actions did we say we were going to do, yet didn’t. 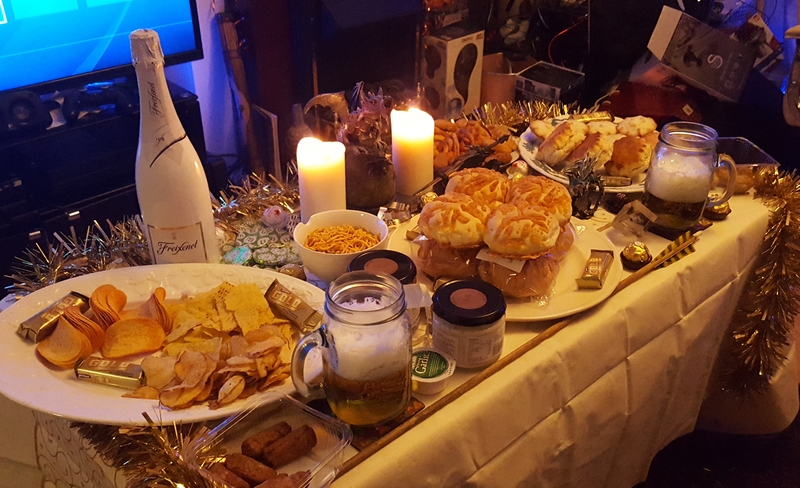 Did I complete everything I set out to do as the mystical barrier of 31st Dec 23:59 ticks over into the new year. Coupled with a strong sense of reinvention and optimism. I wanted to make a stamp on the end of 2018, for many reasons it was truly challenging, reaching mental exhaustion over matters with close family. Many moments of laughter and rekindled friendships. New people entered my life. Difficulties overcome. The book have been writing on and off for near 4 years coming into maturity. Far expanding beyond its initial seed. Those who have read samples, have given great feedback, driving me forward to completion. Have seen many smiles, shook many hands and shared hugs throughout the year. 2018, also saw one of my passions come into its own, launching a regular video and audio podcast – Our Curious World. An opportunity to explore talking to a variety of people, embracing conversations – learning and developing. Self-therapy and discovery all in one, one could say. Also launched a second video series with long-time friend Kevin Smith called WrestleDX +Alpha, a combination of wrestling action and gaming, both subjects brought us together wayyy back when and keep us interested today. Took onboard a number of inspired video projects, some went public, some did not. Some I’m happy with, others not so. Learning all the time. Perhaps the Streets of Rage Documentary was the best work of the year, with communication and suggestion by the team behind “The Toys That Made Us” available on Netflix. With collaboration from the SORonline community, Read Only Memory an interview with long-standing Radio SEGA, made the first quarter quite contented. With a Peter Pan/J.M.Barrie project coming to completion shortly. Some spooky, historical and burlesque dance projects also in the wings. 2019 has the potential to be quite interesting. Over the xmas week I had seen a meme, which seemingly was chasing me around. Making that stamp, is what I wanted to do to finish the year! So it Begins! Setting out to put it to the test! With assistance in creating a gold themed fantasy spread. 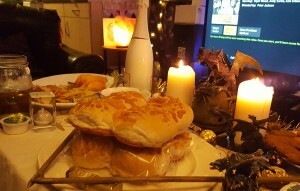 Dragons, arrows, candles and cheese topped rolls! 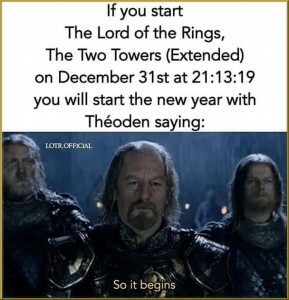 Time is now 8pm 31st Dec 2018! 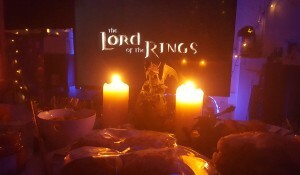 An hour to go, just where are my Lord of the Rings Extended Editions! Time running out, Gah! What is a man to do?! It’s a one-shot only until next year. 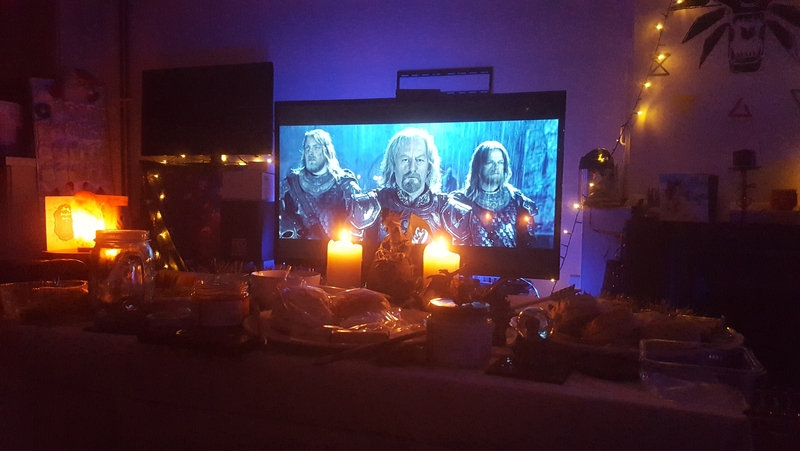 The build-up, for this night, this moment. It will happen. Are they on Netflix? nope! Amazon Prime? nope! just the standard ones. Films on Playstation? nope. Right, going to go what I have never done before, rent digitally! £3.49 to watch within 30 days on Amazon Video. Phew! Despite starting at the correct moment, maybe a second or so to initial buffer. 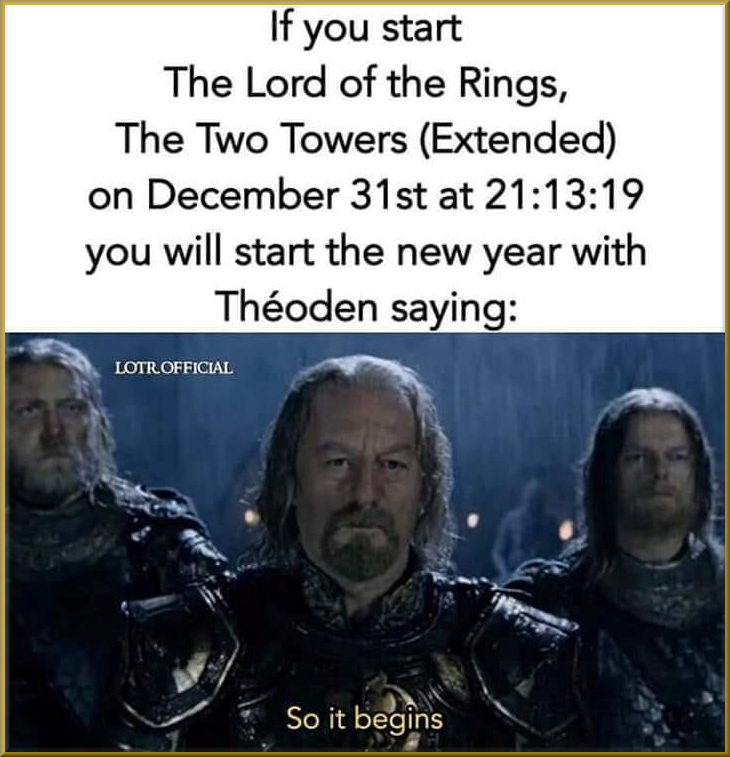 the meme proved incorrect, as Theoden didn’t say the famed meme line until 1/1/2019 at 12.04am.